Thyroid Eye Disease | Crank It! Dr. Patrinely is an Associate Professor in Baylor College of Medicine’s Departments of Ophthalmology and of Plastic Surgery in Houston, Texas. He is an internationally known expert in ophthalmic plastic, cosmetic, and reconstructive surgery, Dr. Patrinely makes presentations throughout the world. A prolific writer, he has completed over 175 articles, book chapters, and books. He has been selected by his peers to be listed in the reference book, The Best Doctors in America, every year since the publication’s inception in 1992. Certified by the American Board of Ophthalmology, Dr. Patrinely has a large private practice devoted to cosmetic plastic surgery of the eye regions. This is in addition to his clinical practice in reconstructive eyelid and orbital surgery. In 1835 Robert Graves, a British physician, described signs of thyroid disease including exophthalmos (forward protrusion of the eyes), and his name has become an eponym for an eye condition associated with thyroid dysfunction. Although most frequently associated with hyperthyroidism, this eye condition (Grave’s ophthalmopathy) can occur in patients with no laboratory evidence of thyroid dysfunction. A major feature of Grave’s disease is the presence of changing eye signs and symptoms. Remissions and exacerbations are signs of varying degrees of orbital inflammation and are characteristic features of Grave’s ophthalmopathy. The eye symptoms usually occur at the same time as thyroid disease; however, they may precede or follow identification of the thyroid abnormality from blood hormone levels. The onset and clinical course of Grave’s eye disease does not usually parallel that of systemic thyroid disease. Most thyroid patients will never be affected by the eye disease, and if so, only mildly so. Unfortunately, no test is available to predict which patients will be affected. It has however been noted that the eye disease develops more frequently and is more severe among women who smoke. 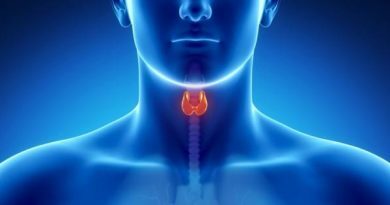 While the eye condition and the thyroid dysfunction are part of the same disease, successful treatment of the thyroid gland does not guarantee that the eyes will improve. 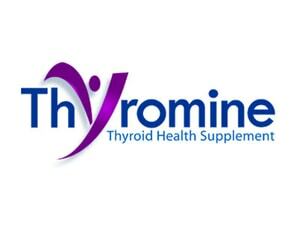 No mode of thyroid treatment minimizes the chance that the eyes will become involved. Once inflamed, the eye disease may remain active for several months to as long as three years, after which time there may be partial or complete improvement. After Grave’s ophthalmopathy has become inactive for six months, recurrence of eye disease is infrequent and may coincide with poor control of thyroid hormone levels. The pathophysiology of the eye findings of Grave’s disease remains obscure. Inflammation and edema of the orbital tissues, especially the extraocular muscles, result in significantly increased tissue volume within the rigid confines of the eye socket (orbit). The exophthalmos of Grave’s ophthalmopathy represents spontaneous forward orbital decompression. This process is ultimately limited by the eyelids, the orbital tissues, the muscles that move and hold the eye, and the optic nerve that connects the eye to the brain. Grave’s ophthalmopathy and the associated thyroid problems are considered to be autoimmune disorders. The body’s host inflammatory cells, for some reason, attack specific tissues around the eye. These target tissues are usually the orbital fat, the directional eye muscles, and the muscles in the eyelid. When the tissues become selectively inflamed, there are typical changes that give a patient the characteristic appearance of thyroid eye disease. Involvement of the eyelid muscles causes retraction of the eyelids, which increases the opening of the eyes and shows more white above and below the cornea. This gives the appearance of a “stare” or bulging of the eyes even when there is no exophthalmos present. In addition, the congested orbital fat contributes to true exophthalmos and the prominence of the fat pads in the lower and upper eyelids, giving a puffy appearance to the eyes and creating shadow lines. Sometimes there is redness in the thin conjunctiva overlying the white portion of the eye, which gives the appearance of bloodshot eyes. When the eye muscles are inflamed, they may underact causing the eyes to move to different degrees, resulting in double vision (diplopia). In a small percent of patients, there is a significant inflammation of the eye muscles and orbital fat and in the very back portion of the orbit (apex), which may decrease the blood flow to the optic nerve. This can lead to subtle or profound loss of vision over either a short period of time or over a more progressive time course. The patient may subjectively experience diminished visual clarity, decreased color vision, or shadows or holes in the field of vision. Sight loss can occur either on one side (unilateral) or both sides (bilateral) and is often not recognized until the patient closes one eye and checks each eye’s vision independently. The majority of the symptomatic patients have mild, irritative ocular symptoms similar to dry eye complaints or have a dull pressure or pain behind the eye, but don’t have the full clinical findings of all the abnormalities listed above. Early and mild eye symptoms include dryness, redness, itching, swelling of the eyelids, and the inability to wear contact lenses. Often these symptoms may be successfully treated with the frequent application of lubricating eye drops. Over-the-counter eye whiteners should be avoided because over time they may worsen the condition. Wraparound sunglasses are helpful in relieving glare. Some patients find lubricating eye ointment helpful at bedtime. Room air should be moistened by a bedside humidifier to decrease dry eye symptoms. Environments with air conditioning, hot air heating and windy days will be particularly troublesome. A few patients will develop double vision. While awaiting either spontaneous improvement or surgical correction, some patients do well with prism lenses in their spectacles. Temporary, less expensive plastic press-on prisms are available which are applied to glasses and changed as needed. Prednisone, a steroid medication, may be taken orally to provide temporary relief from pain, swelling, and redness. However, once discontinued, the symptoms frequently recur. Side effects of the medication may limit the length of time it may be used. Vision loss due to pressure on the optic nerve, the most severe form of the disease, is rare, affecting less than 5% of patients with Grave’s disease. Treatment with prednisone, radiotherapy and surgery either alone or in combination may be required to restore vision. Overall it should be remembered that gradual improvement is the rule with Grave’s eye disease. The retracted and puffy eyelids that have not improved with either medical management or time can alter a person’s appearance and self-esteem and increase the risk of drying of the cornea. Corrective eyelid surgery consists of adjustable loosening of the eyelid retractor muscles and release of scar tissue to bring the eyelids into a more normal position. At the same time, excessive fatty tissue and skin folding can be trimmed to improve appearance. This surgery is performed as an outpatient and is well accepted by most patients. Some patients’ main eye problem is double vision (diplopia) which is a result of asymmetric scarring and inflammation of the eye movement muscles. When this problem has not resolved either spontaneously or with prisms in the spectacles, corrective surgery is required. This surgery consists of detaching and repositioning the eye movement muscles on the eyeball to improve ocular alignment and minimize the double vision. The buildup of inflammation and scarring behind the eye may sometimes cause significant forward protrusion of the eye, which increases the disfigurement and ocular exposure. In 5% of Grave’s disease patients, the swelling in the orbit may actually contribute to progressive visual loss due to pressure on the optic nerve. The orbital decompression procedure enlarges the eye socket to accommodate the extra tissue that is deposited behind the eye and allows this tissue to expand into the neighboring sinus cavities so that the eye will settle back to a more normal position. Orbital decompression is indicated in patients with significant protrusion of the eyes, visual loss, or severe exposure of the corneas. Sometimes careful resection of the fat behind the eyeball is performed in conjunction with or in place of the bone decompression. The surgery is usually performed under a general anesthesia and usually an overnight stay in the hospital is required. There is usually a significant improvement in the first week, which continues slowly over the next several months in 90% of the patients. The main risks of this procedure are double vision, numbness of the cheek and lip, and possible visual loss. Grave’s’ disease patients should be followed by an ophthalmologist experienced with the above conditions and treatments. James R. Patrinely, M.D., F.A.C.S. Charles N.S. Soparkar, M.D., Ph.D.